Saturdays available irregularly, so please call 08 85249047 and we will check with the wineries first. 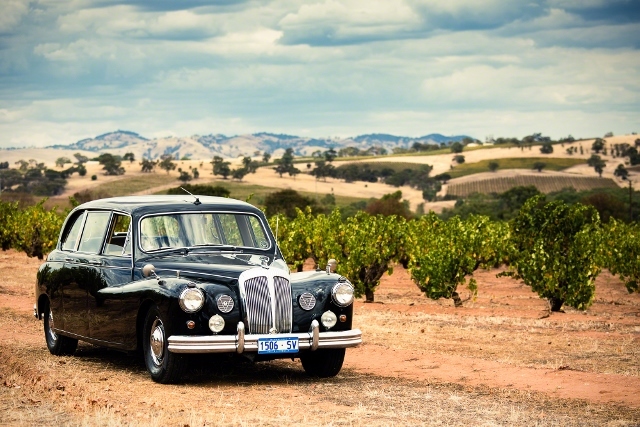 Barossa Daimler Tours are proud to offer this day of outstanding and iconic experiences in the famous Barossa Valley, South Australia. 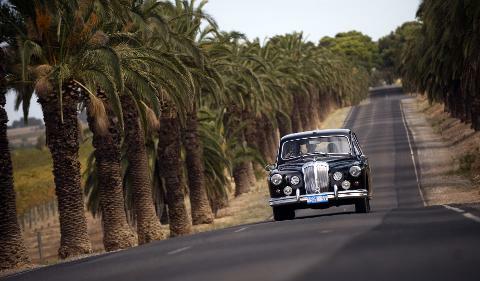 To begin your day, you'll be collected by your local guide, John Baldwin, in a classic and rare 1962 Daimler, which was brought to Australia for the royal tours in the sixties. 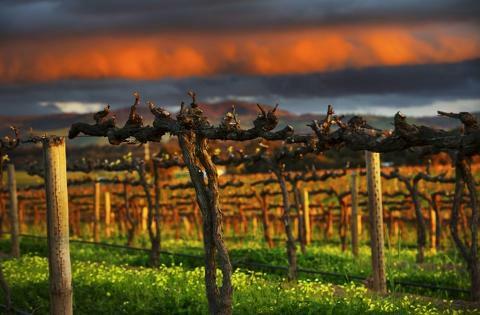 First stop is Henschke Winery for a 'VIP Tour and Tasting' which delves into history, and includes a trip to the vines, where you can stand amid these 155-year-old gnarled beauties. Tastings include Henschke's most sought-after wines: Mount Edelstone, Cyril Henschke, Hill of Roses and the pinnacle, the elegant and illustrious 'Hill of Grace'. Next visit is Penfolds, Barossa Valley Winery to discover the philosphy and spirit behind Australia's greatest wine. Penfolds 'Taste of Grange' involves a private sitting with a Penfolds educator and includes tasting one luxury white, and five reds (which may include St Henri, Magill, RWT, 707) and the current Grange on offer. 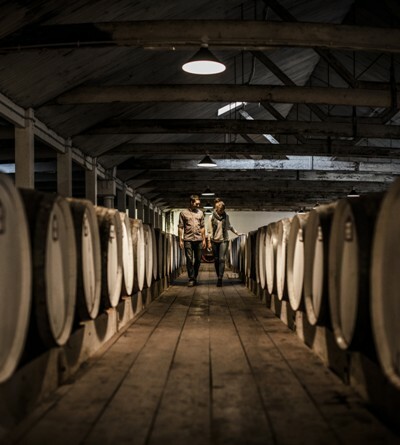 Seppeltsfield Winery 'Centenary Tour' indulges the history and romance of Seppeltsfield, a living, national treasure dating back to 1851. Taste wines from the Paramount Range and then take the rare opportunity to draw and taste fortified wine from the barrel of your birth year. Your final indulgence is the unforgettable, 'once in a lifetime' liquid history experience of tasting a 100-year-old Para Liqueur Tawny. Seppletsfield is home of the world's only continuous collection of fortified wines dating back to 1878. 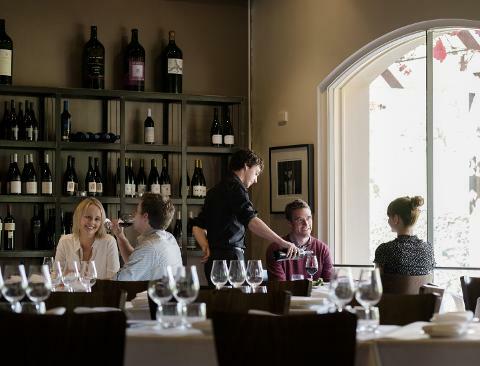 A sumptuous 2 course lunch with wine is included at the award winning Vintners Restaurant, stop to taste the cheeses at Barossa Valley Cheese Company and enjoy afternoon tea at the famous Maggie Beers Farm Shop. 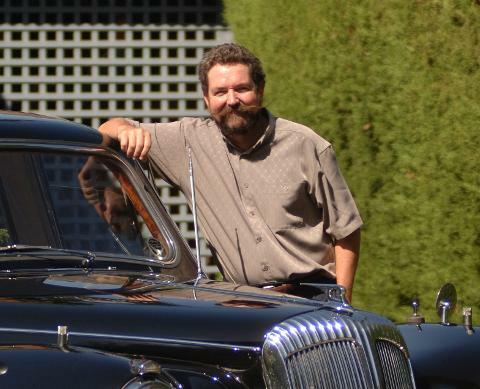 Your guide for the day is owner of Barossa Daimler Tours, John Baldwin, who after 25 years of private touring is well known and respected by the Barossa community and loves to share his personal friendships with all who tour with him. If the winemakers are around, they will always come to say hello to John and his guests, and the cellar door staff give VIP attention and often special wine tastings not generally available to others. *Adelaide pickups - Extra $300.00 per car, for a return transfer (on tour day). 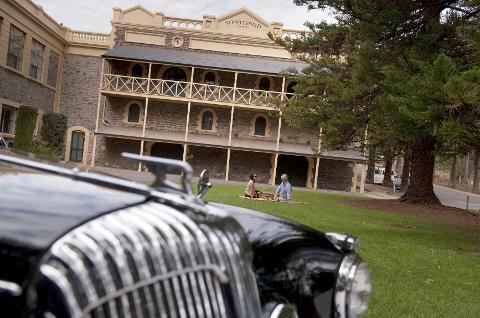 Please note that the transfers are in a modern vehicle, and then transfer to the 1962 Daimler, on arrival in The Barossa. The rate of $990 per person does not include the Adelaide pickup and return. On booking this tour, if you require the Adelaide transfers, you will be contacted via email and asked for permission to charge this $300 fee (per car, not pp), before any further payment is taken. The Adelaide pickup will be at 8am and drop off at 6.30pm.